Finding attractive yields in traditional stocks and bonds has become a laboring endeavor. 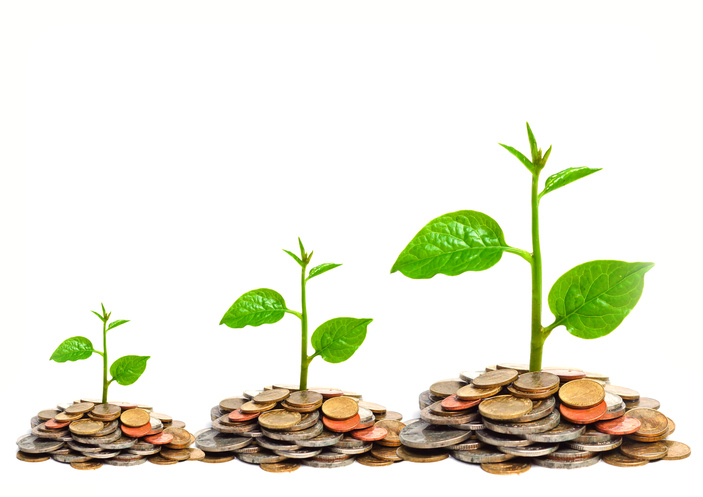 Consequently, more are turning to alternative exchange traded fund strategies to boost their income portfolios. On the recent webcast (available On Demand for CE Credit), Alternative Approaches to Yield in the Current Environment, Jon Maier, SVP and Chief Investment Officer for Global X Funds, pointed out that it has become harder and harder for long-term investors to achieve a 4% income target. Since 1960, 10-year U.S. Treasuries have averaged a yield of 6.3%, but the T-notes now only come with a 2.22% yield. “With 10 year treasuries yield around 2% to 2.5%, and inflation at about 2%, the expected real return on these assets is close to zero,” Maier said. This poses a huge problem for a growing percentage of the investing population, notably baby boomers and the silent generation, with over 100 million people and over 80% of household wealth. For instance, men on average are now living 20 years in retirement, compared to an average 13 years in 1962. Meanwhile, investors are taking on greater risks to achieve the level of income generation they want. 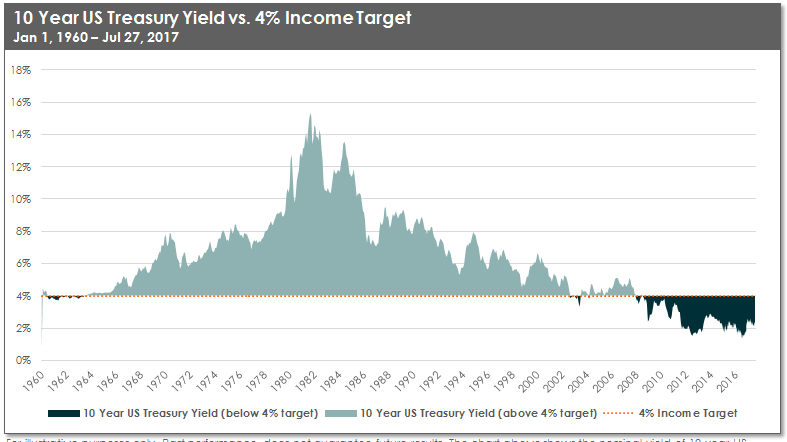 “The premiums associated with taking on duration or credit risk are well below their 10 year averages, indicting that a high level is risk is needed to achieve higher yield targets,” Maier said. Due to the low-yield environment and increasing demand for yield-generating assets, more investors are looking toward alternative sources of income outside traditional debt assets. For instance, some assets that offer yields above 4% include master limited partnerships, high-yield bonds, preferreds, emerging market bonds and real estate investment trusts. Jay Jacobs, VP and Director of Research at Global X Funds, also pointed out that investors are looking to dividend-paying stocks to bolster yields, notably high dividend, dividend growth and quality dividend strategies. However, each come with their own setbacks.